Pouring from a glass decanter is a sophisticated, timeless way to serve drinks. 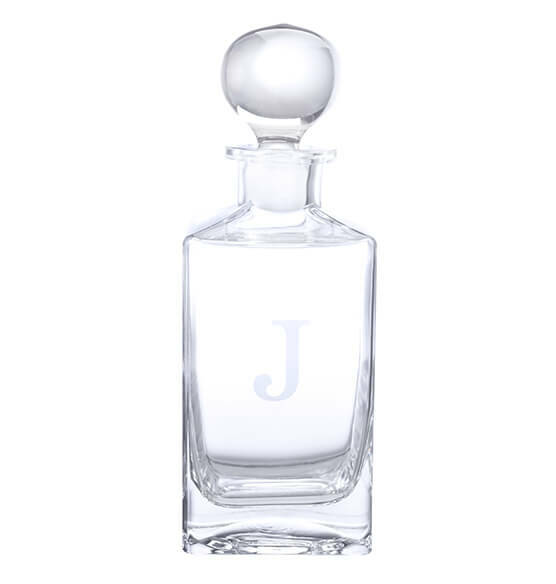 This personalized square glass decanter has a smooth, uncut design with a clear glass ball stopper. Looks great displayed on a bar when not in use. 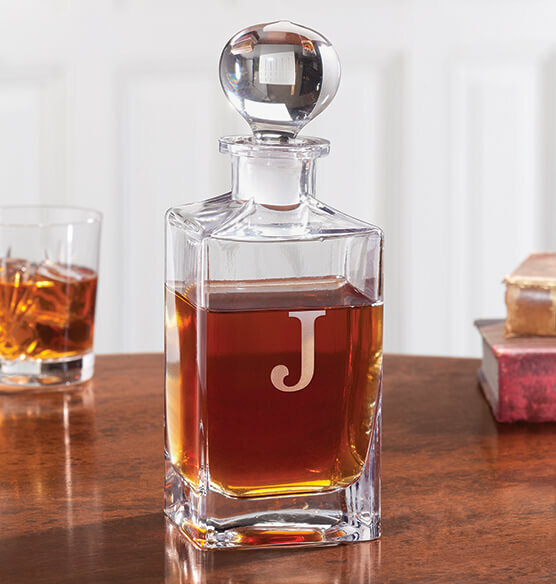 Personalize with an etched initial or name to create a unique gift for someone special. This square decanter comes in a presentation gift box.